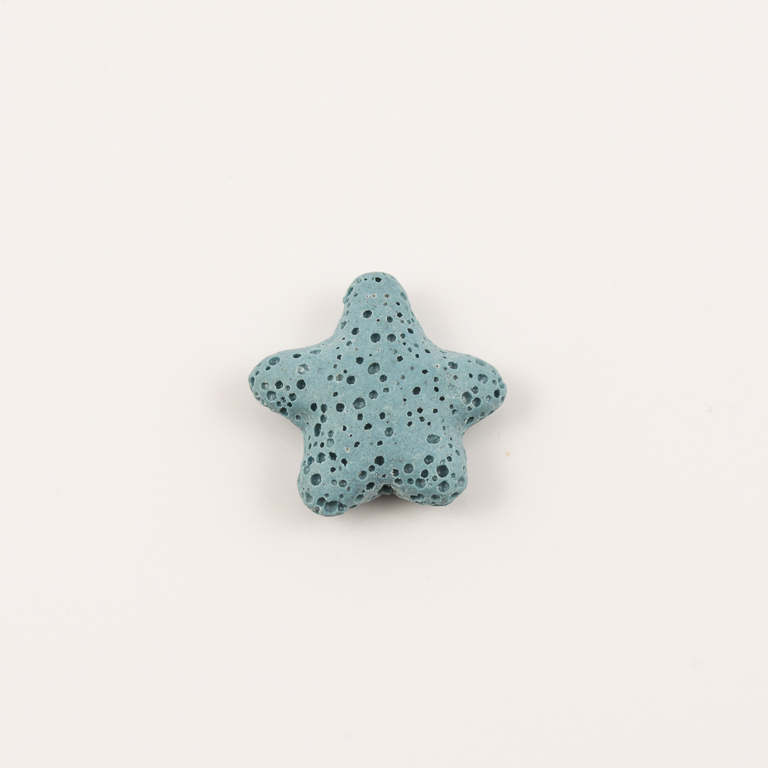 Passed bead made of lava in star shape in light blue color. Ideal for necklace or sandal decoration. Dimensions 2.6x2.6cm.